Tents packed away it was a short ride back into Wakefield so that we could knock up some breakfast and visit the bakery that was mentioned in the TA guide. I already had visions of tucking into a chocolate croissant with my first coffee of the day. So you can imagine my disappointment when I walk into the bakery only to be told that the croissants had not been baked yet. It was gone 830am! As a result it was coffee and porridge again. The weather was looking considerably more overcast today and I had been told by a few locals that rain was expected tomorrow. Given I hadn’t had a single wet day yet since starting my trip I couldn’t complain and I also had my wet gear with me should the inevitable happen. 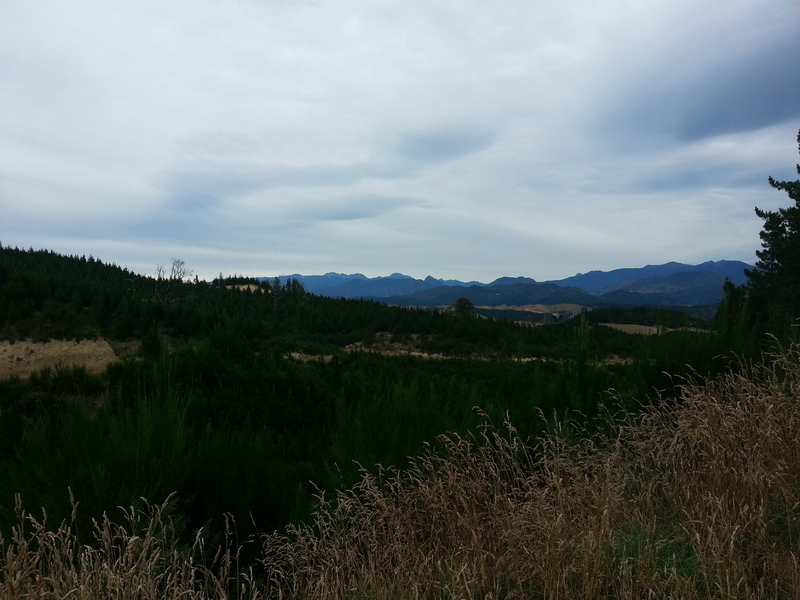 Today was a mix of sealed roads and gravel trails and the pair of us pushed onto Lake Rotoroa. 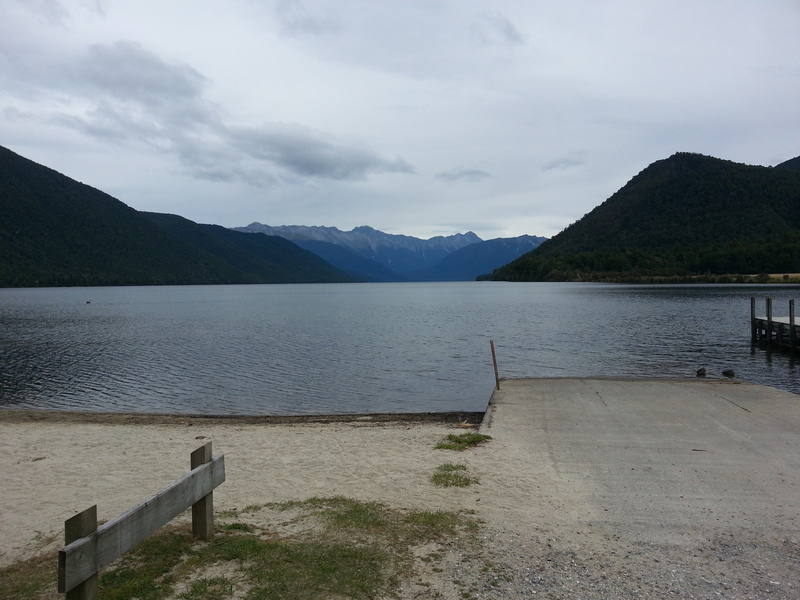 We arrived at Lake Rotoroa just after 1700hrs. 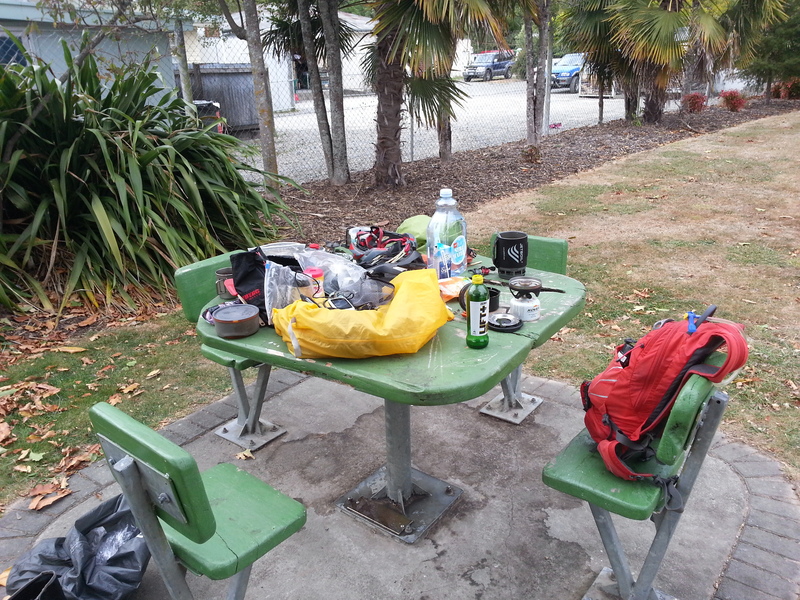 Andy was adamant when we arrived at Lake Rotoroa that he was staying there the night at the DOC campsite. I on the other hand decided that as it was still early and Lake Rotoroa had been mentioned as sand fly hell that I would push onto Murchison. Before I could though had to snap the lake as it was a photo control point. Photo control points dotted the route and are added so that you can prove you cycled the whole thing. Andy by now was in the process of erecting his tent. I thought he was brave as I had already been swarmed by the sand flies just taking the photo and I had only stopped for a few seconds. Without further ado I shouted cheerio made some joke about the sand flies and got the hell out of there! Sand flies can’t travel at speed so as long as you are moving you are fine. Anyhow, what happened next still makes me laugh. I was about 4 miles up the gravel trail and had stopped for a quick energy refill, liquorice was the current choice of sugary goodness. Whilst shoveling a number of bite sized pieces in my mouth on the hill, I hear Andy shout “c’mon you f!ckin slacker” as he goes cycling by up the hill. I immediately start laughing out loud and give chase in the knowledge that the sand flies had got the better of him. We push onto Murchison where there was a campsite and upon arrival decided that tonight we’d get some supplies from the 4 Square store and make use of the camp kitchen and have pasta for a change. It did make a refreshing change from Uncle ….